I came out to my 2014 SRX yesterday after not driving it for a few days. I noticed that the cue screen on the left side had some spider webbing cracks in the screen , NO impact to the screen from objects and you cant feel the cracks with your nails. I drove it for about 1 hour with the heat on and it appears to have spread into longer cracks. What gives ? I`m contacting my dealer and the Cadillac customer service department and see what they are going to do . I only have 17k on it . I HOPE they dont give me a problem and say its from abuse or misuse, it is a touch screen and I see that other Cadillac`s are having the same issue. I'm very sorry to hear about these cracks in your CUE screen. Were you able to get this repaired by your local dealership? If you are still in need of assistance, please send us a private message; we would be happy to help. my name is fabian zuniga and I own a beautiful 2013 ats 2.0 but I am also having this issue. with the dropping temperatures, and using my heat my screen has cracked. First with a small spider web like crack and now it has taken over about 35% of the screen making some of the radio/heating/cooling options unavailable. There is no physical crack or damage to the screen itself but to the interior glass. I'm hoping you can point me in the correct direction to fixing this issue. I have 41985 currently miles on my vehicle. The car has a 4 year 50 k base warranty. A certified used would be 6 year 100 k. Since it's a 2013 it may still be under base warranty. I would go by local dealer and verify warranty status, even it is out of warranty you may be able to get assistance. I am having the same problem with the cue screen on my 2013 Cadillac ATS 2.0T it only has 38k and looks brand new. Our local Cadillac dealership said my bumper to bumper warranty expired last month (February). This is clearly a defect in the cue screen and the dealership said it's very common. It's not spiderwebbing yet, just two long internal cracks that couldn't have possibly been caused by an external force because the screen is smooth to the touch, it's an interior crack. The dealership said that it would cost well over a thousand dollars to replace the screen. It doesn't seem right to have to pay a premium to replace defective equipment on a car with less than 50,000 miles. I am hoping someone on this forum might have some advice for me, if Cadillac won't take care of this I will never own another GMC vehicle again. Companies should stand by their products. I am having the same issue with my 2014 ATS. 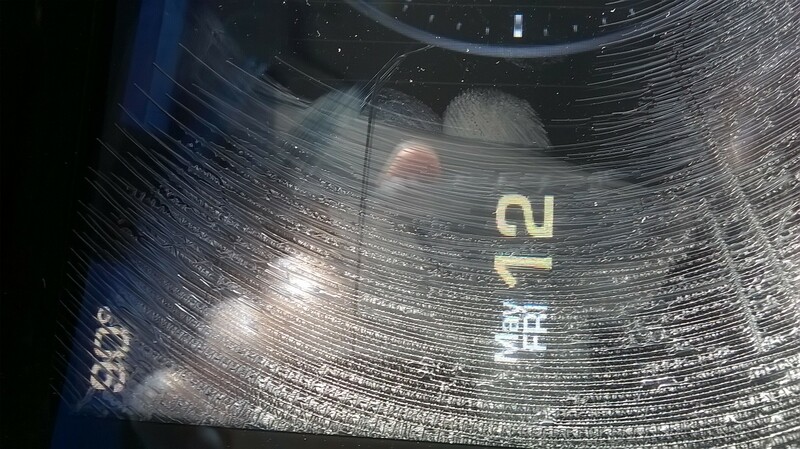 2 weeks ago, I entered my car and noticed the screen had began webbing even though it hadn't been touched. Is this years cue defective? It's a condition that occurs it is a 2014 so go by dealer see what they say. Don't wait to see if it gets worst or Cadillac sends a letter. If for no other reason the condition will do***ented. Bought certified Cadi CTS 2.0 with 14K miles four days ago and this appears.